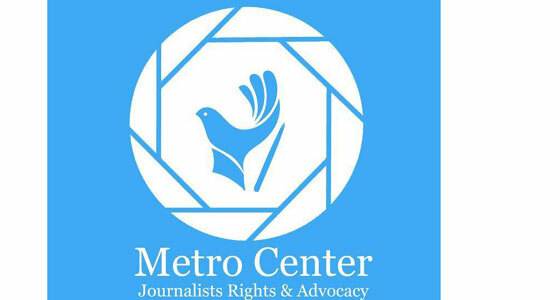 •Metro Center has been established in 2009, by the attempts of a group of journalists and human rights advocates, supported by Institute for War and Peace Reporting (IWPR), aiming at monitoring free press situation in Kurdistan Region of Iraq. •Metro has been established according to the Kurdistan region code of the non-governmental organizations, number (1) in 2011, and has received the formal license from Kurdistan Regional Government. •Since the establishment, it has been supported by each of Institute for War and Peace Reporting (IWPR), Norwegian People Association (NPA), and International Media Support (IMS). •Metro Center monitors the implementation of Media Code number (35) in 2008 and the Code number (11) of the rights of Access to Information, and also monitors the way the government deals with the international regulations pertinent to the protection of the rights of freedom of speech and journalistic freedoms, working with the government and the NGOs to put those rights in action and to spread them out. 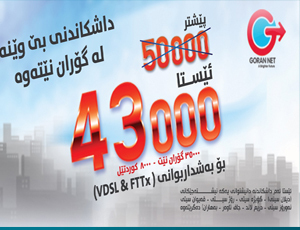 •Metro has representations in Kurdistan Region cities, Baghdad, and some European capitals. •Metro works cooperatively with international and Iraqi NGOs. •The Center has a network of more than 100 volunteers, working in allover the cities of Kurdistan. •Since the establishment, through issuing announcements of supportive and gatherings, protests and demonstrations; the Center has been working on expanding the rights of knowing and Press rights. •The journalist martyr Ammar Al-Shabander, the lawyer Razaw Sharif, the journalist Hiwa Othman, the journalist Twana Othman, and the journalist Rahman Ghareeb. •From 2009 to 2018, through election processes; each one of the lawyers Razaw Sharif, Mariwan Hama Saeed, Aawat Ali, Rahman Ghareeb, and Dyaree Muhammed has become the Director of the Center. The Press freedom and the right of knowing are the essential bases of democracy, pluralism and human rights. •Consolidating principles of human rights and democracy, expanding press freedom and right of knowing, defying the phenomenon of escaping penalty for the crimes that would be committed against journalists, spreading out the principles of tolerance and press ethics, defying discourse of hatred and a grudge, and consolidating principles of equity. •The Center defends the rights of access and providing information to journalists and freedom of speech, defending those rights in front of the courts. •Metro annually issues a report or more, documenting violations against journalists and free press, and also arranging demonstrations and gatherings against those violations. Moreover, it holds workshops, seminars, and press conferences to protect freedom of speech and human rights. •International Media Support (IMS) and advertisement's income. •The Project of Legal Awareness, supported by (IWPR) in 2010. •The Project of Legal Awareness for Interior Forces, supported by (IWPR) in 2010. •The Project of Metro Media, supported by (NPA) in 2013. •The Project of Violations' Report, in cooperation with the Journalistic Freedoms Observatory (JFO) and supported by the Norwegian (NPO) in 2013. •The Project of Defending Journalists in war regions, in collaboration with GENEVA CALL organization in 2015. •The Project of Monitoring the Violations at the level of Iraq, in cooperation with the National Journalists' Syndicate in Iraq (NUIL) in 2017. •The Project of the Digital Security, supported by the cooperation of Gulf Center for Human Rights during 2015, 2016, and 2017. •2019 Became a partner of Internews to implement projects in Iraq.